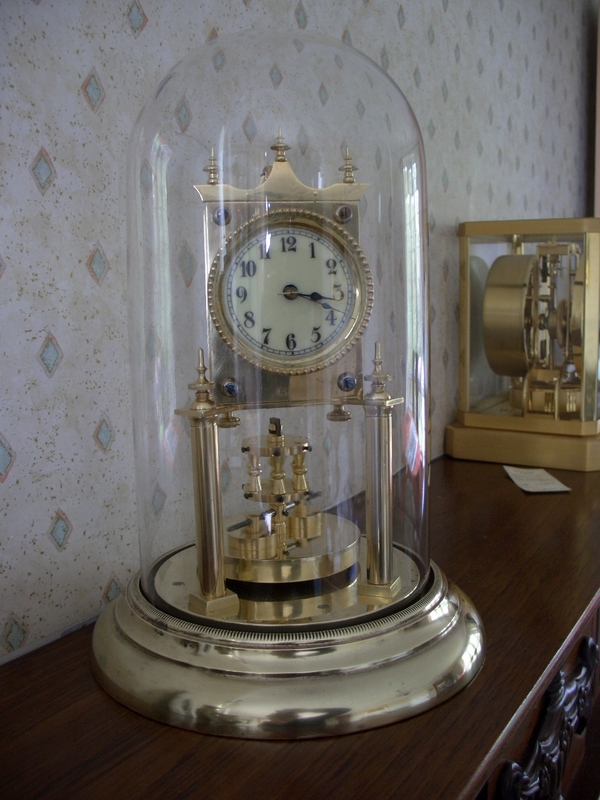 Anniversary clock made by the Badische clock company in Germany. 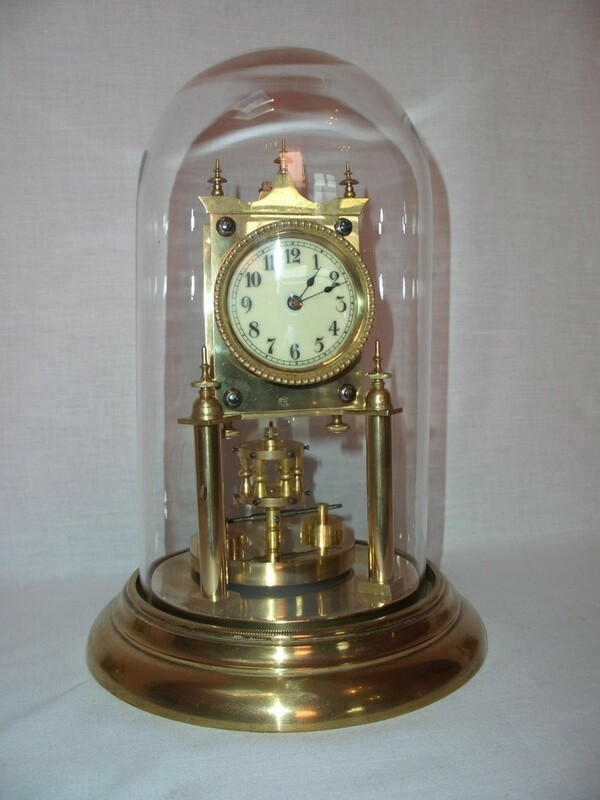 This clock dates to the pre First World War period and has the original porcelain dial and disc pendulum, and sits under its original glass dome. This timepiece will run for one year on a full wind. Fully restored with one years guarantee.